There are numerous spell suggestions here. If you want them to move, try Hot Foot or Run Devil Run. To get them to leave you alone, work a freezer spell or mirror box spell. To protect yourself from them, work with Fiery Wall of Protection and Red Brick Dust. To shut them up from causing trouble, work with Stop Gossip and Influence products. To harm them, use Goofer Dust, DUME, Damnation, or Destruction - or make an egg curse or lemon curse. Now, to be kind, i deleted all your verbiage about how you have chosen not to purchase from us. However, although you may not know it, we do have customers in Germany because we do ship there, and since this is, after all, our customer service outreach bureau and you have explained that you will not become a customer, there is very little more we can do for you. Perhaps a German magical forum would be better suited to your needs. FInally,a good book on magical herbs is my own "Hoodoo Herb and Root Magic." You can buy it via Amazon, since you explained that you will no purchase from us. I’ve been having trouble with my condo neighbors. I’ve been living in my condo for a year and the entire time my neighbors have been rude. One neighbor in particular poured white paint on my car and denies it but I found proof of the paint in the hallway (we are the only two who live on the second floor). I’ve found my condo door unlocked when I know I have left it locked. My car has been broken into as well. Another neighbor in the building has poured urine on my stairs and entrance to my condo. What can I do to get my neighbors to stop being rude and start being nice? Any suggestions would be greatly appreciated. How your neighbors are acting I would use hotfoot on them to get rid of them for their evil terrible ways. War water to curse them, even use reversing on them to send their evil back on them. Otherwise try using a honey jar to sweeten them to you. - Dress their door knob with a mixture of Run Devil Run and Hot Foot oil. - I absolutely LOVE blowing powders out of my hand. There's something so ritualistically magical and powerful about it to me. Take the powdered form of the two formulas above, mix them with Goofer Dust and a pinch of grave yard dirt, curse their names (if you don't know them, something generic like the inhabitants of apt # so and so) and from about 2 feet away from the door knob, blow with all of your might envisioning being blown into kingdom come or somewhere else far far away from you! - If they have a doormat, you can take the same powder compound and underneath the welcome mat sprinkle the mixture down in a cross (X-shaped) pattern as you curse their names in the same manner described above. - And finally my personal favorite, second only to powder blowing, sprinkle 7 Guinea Seeds (Prains of Paradise) down in the front of their threshold in a line as you curse their names 3'xs saying "Get Out!" It need not be a perfectly straight line, you just don't want it to be a pile of seeds. That's very obvious. Hello...I have always anointed my car with safe travel, protection oil and I have a personal mojo bag with a cats eye, lemon verbena, mugwort and wormwood. For some odd reason, someone still manages to scratch and wiped something on my car which was last week. I am more than sure it’s coming from a neighbor(s) but I just don’t know who. My question is what do you recommend that can keep people away from my car who are very malicious, envious and evil? Also, what can I do to give them a taste of their own medicine? I like fiery wall of protection oil as well as a a protector and I keep a hand of Miriam in my car as well. You can do reversing with a candle dressed with reversing oil and crab powder ( they walk in reverse) and be specific in your petition: person who scratched my car on this day at this time. Same for person who stole from you, asking to reverse these behaviors back to them in their lives and cards. Thank you JayDee...Question, what is Miriam? Is it oil? Also, can I throw black salt by the person car or hot foot or red brick dust? Yes you can throw all the items at their car if you know who did it, my experience is when people swipe your car they leave the crime. You can wipe their dirt stain or paint off and use in the reversing as well. Thanks for sharing the link JayDee, I really appreciate it. Question, is there a specific way of how the items are thrown to the car? I want to make sure I am doing everything right. Sprinkle them in a zig zag pattern around the car, mix it with local dirt so not noticed. Take powder and a make up brush and dust the car handles, and anything on the car they will touch and to curse it such as tired to go flat, windows to break etc. My husband and I just moved into a new apartment, when we are away at work our dogs stress bark from being alone in a new place and hearing movement on the other side of the door. Although my dogs are not the only dogs on the floor whom bark my neighbor called the cops on us and threatened to sue us for the disturbance. We have enrolled our dogs in training and gotten relaxation medicine for them.Our dogs are only alone for 4 1/2 hrs Mon-Fri 2pm to 6:30pm they are registered with the town and on our lease but he is calling for our eviction although we only moved in a week ago. What spells can I try to protect us from eviction, calm down or dogs, or make him stop bothering us? Some people can be such a headache. Sorry you have to go through that, Shawnagarri. The good news is that there are several things you could try. To start, you can perform a sweetening spell to sweeten your neighbor(s) to you. Afterwards, maybe you could try and talk to him/her and ask him for some understanding to your and your husband's situation. If this doesn't work..I'd go with a Shut Up spell.. A beef tongue could potentially do the work along with a law stay away spell. Place his name or something like "troublesome neighbor" onto a piece of paper 9x's. Split the tongue open and place it inside of the tongue's opening. Poor on some ground Alum, 4 thieves Vinegar, and red pepper..sew it close in an X pattern (just the way I was taught).. wrap in foil and freeze it. If all else fails, you could send them packing! We shared our experience here in June last year, since then my sis and i have tried our own version of a hot foot spell on our horrible nasty neighbors, however efforts seems futile.. Things have gotten so bad that its like we've been imprisoned in our own home, not being able to go out and about on our daily lives. This is misery at its worse. We aren't sure where we went wrong with what we did. We blended Cayenne Pepper, Black Pepper, Cinnamon Powder, Sea Salt ,and Sulfur Powder. We mixed them anti clockwise, stated our intentions and sprinkled it very subtly over their doorsteps, doormats and footwear. We try to do it on a weekly basis, every Tuesday afternoon which we were told is recommended as it is the best day for banishing spells. Sadly, nothing has worked so far. Their atrocious stalking has escalated and we are at our wits end. As mentioned, moving out is NOT an option for us. Any help is appreciated. Please. Many thanks. 1) H=Your home-made recipe is not what i would call Hot Foot Powder. Nor is it Banishing Powder. One ingredient, Cinnamon, is usually used for money or love, and is not a ht, bitter, or angry herb. I recommend that you try our Hot Foot Powder, which has a considerable list of other ingredients that are traditional. Whoever gave you that recipe is not well schooled in the history of this product. 2) Whoever told you that Tuesday is for "Banishing" may be under-informed or deliberately trying to downplay the cursing aspects of folk magic. Tuesday, as i know it, is ruled by Mars, the planet dedicated to WAR. It is a good day for action against enemies. Saturday, on the other hand, is ruled by cold and distant Saturn and is great for banishment. 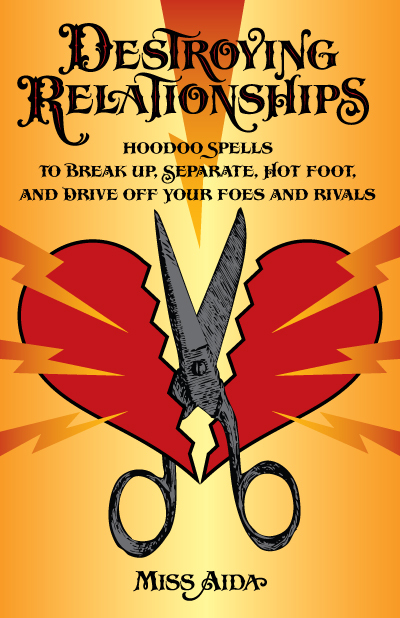 Hot Foot is a combination of an angry curse (Mars) and a sending away or banishment (Saturn). So i would work on a Tuesday, as you did, and also on Saturday. and i would raise my anger level far beyond mere banishing to an all-out assault (and this would be reflected in the use of Lucky Mojo Hot Foot Powder, which is considerably less bland and sweetie-pie than your home-made recipe). 3) If you have been doing this for months, as you describe, you are dawdling. If you don't get results, move on to additional spells. Have you thrown a prepared "graveyard egg" over (or at) their house? Have you buried nails, point up in their pathway? Have you whipped and cursed their footprints? Have you burned black candles and dripped the wax on a plat-map or satellite aerial view of their property and their names? Never get stuck on one spell. 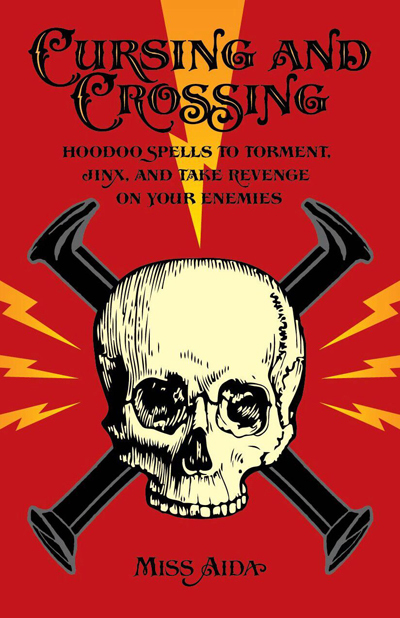 Study, learn, and work within the entire tradition of hoodoo. I advise you to study more, Books can help. 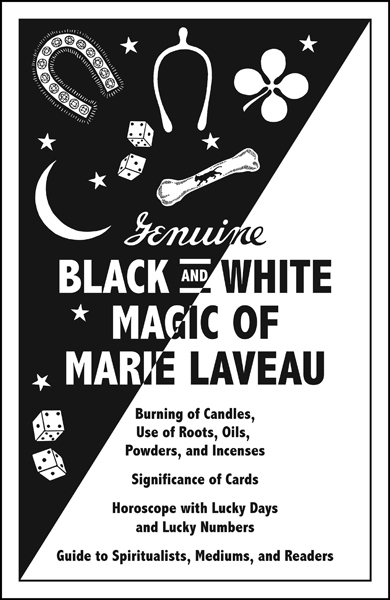 Try "Cursing and Crossing" by Miss Aida, "Destroying Relationships" by Miss Aida, and "Genuine Black and White Magic of Marie Laveau," which contains a nicely thought out anti-neighbor spell first published in the late 1920s. Thank you so very much for your reply. You have no idea how much it means to us and we appreciate it so much. It is so upsetting to know the spell we got off a YouTube page from a witch is not doing what she said it would. We have been driven out of our minds just trying to avoid these nasty neighbours. So you would recommend banishing spells to be done on Saturdays, preferably? We come from an Asian country, is there a particular time we need to follow? We would prefer though, an experienced witch to help us out just in case, as we cannot afford any more failed attempts since it might just cost us our minds.. It is tough for us as we've mentioned from previous posts that we are living on a floor with 4 units so planting spells, nails and anything out of the unusual is gonna pose a major problem as our nasty neighbours have cameras faced at our apartment door. It is exhausting just trying to stay out of their sight just so we can avoid conflict of any kind. May we kindly ask if you would have any reliable witch to help us with the banishing spell instead? We wish no one harm, just for them nasty neighbours to move away for good so we can have our normal peaceful lives back. I'll help answer some of your concerns until Miss Cat has time to follow up with you. 1) Miss Cat is suggesting a combinations of days if you choose to work with them. To reiterate her point, Tuesday is ruled by the planet Mars. The energy of all things warlike is represented by the energies of that day. I think it is safe to say that the two of you are at war with these not so neighborly neighbors of yours so continue to work on them on a Tuesday, but also begin working on Saturday as it is ruled by Saturn. This is the planet that is associated with banishment, among other things. 3) Don't be discouraged by the the perceived limitations of living in an apartment building. Where there is will, there is a way. Foot print work may still be possible if there is grass or dirt on the outside of your apartment. If so, you can gather these and do as miss cat has suggested. That shouldn't be too difficult to do if they are in the apartment or off of the premise at the time you collect. Lastly, I think this is worth mentioning. You say that you do not want to cause them harm. You have that right and it is admirable but consider that you have already tried to HotFoot them out. Even though you failed due to a worthless recipe, the intent was to, indeed, HotFoot them. Hotfooting is not polite business. I like to think of it as a Get out by ANY MEANS NECESSARY. There are subtler ways to do this but I fear, for you, these will not produce any results. You may as well knock on the door and ask them politely to please move. Get clear about your goal, get clear about your will to have them gone, and then reassess your statement. Is TRULY hot footing them away worth it after you've taken a second look at? If you decide it is so, then you know what you need to do. I wish you good luck and don't forget to contact AIRR for help. Have you thrown a prepared "graveyard egg" over (or at) their house? Have you buried nails, point up in their pathway? Have you whipped and cursed their footprints? Have you burned black candles and dripped the wax on a plat-map or satellite aerial view of their property and their names? 1) Noted on Tuesdays and Saturdays. May i ask if timing matters? Should i cast the hotfoot spells in the mornings or evenings? Nasty neighbors are home most of the time, (it's either 1 or the other that'll be home) which makes it incredibly difficult for me, especially on Saturdays. 2) Thank you, we will put into consideration on hiring a professional rootworker as help is appreciated. 3) Our apartment premises has a cleaner who cleans daily, and the nasty neighbor is extremely sensitive to details like dirt, placement of shoes, even the the tiniest of details. I'm sure you know what i mean. It is close to impossible to get any kind of significant foot dirt off them. 4) We have tried every subtle ways possible, however they got defensive and said we were crazy when we tried approaching them and talking it out. But what is intolerable is their bad mouthing us to other unit neighbors, their friends and people that don't know the agony they put us through. Therefore, hotfooting them is the ONLY way out left for us since we are left helpless against their non stop, constant bullying and targeting. In any case, we truly appreciate your help and concern. As mentioned in my replies, it is tough for us as we've mentioned from previous posts that we are living on a floor with 4 units so planting spells, throwing eggs nails and anything out of the unusual is gonna pose a major problem as our nasty neighbours have cameras faced at our apartment door. - Have you thrown a prepared "graveyard egg" over (or at) their house? > Nope, its DEFINITELY impossible. - Have you buried nails, point up in their pathway? > The carpark is directly underneath their apartment, solid concrete with no soil, nothing to bury with. - Have you whipped and cursed their footprints? > No way to collect their footprints, as i've told Dr Darensbourg, the nasty neighbor is extremely sensitive to details..
- Have you burned black candles and dripped the wax on a plat-map or satellite aerial view of their property and their names? > Instead, can we just order the hotfoot powder and perform the spell on both Tuesdays and Saturdays? Any specific time? Because the nasty neighbors are home most of the time, (it's either 1 or the other that'll be home) which makes it incredibly difficult for me, especially on Saturdays. But as mentioned, where's there's a will, there'll be a way. Also, how many times would a pack of hotfoot powder last me? Many thanks to both you catherineyronwode and Dr Darensbourg, just know we appreciate all the help..
" We wish no one harm, just for them nasty neighbours to move away for good..."
I just wanted to make sure you knew that hot footing them WOULD be causing them harm. Simply put, if you do not intend to cause them harm, then you do not want to hot foot them. If you choose to however that is completely your prerogative and again l, you are well within your rights, in my opinion, from what i know of your situation. We can't really answer how long it will last. Spiritual supplies are like a light Bill. It varies based on usage. Thank you so much for your advice, just know we appreciate your kind help..
We are positive HootFooting is the only way out as they've started being in cahoots with 2 other units, badmouthing and outcasting us. Life is hell on earth currently.. We are at our wits end with these neighbors from hell (LITERALLY). Therefore we've decided to get 2 packs of hotfoot powder. We have gone thru the thread but we're not really understanding since its our first time doing this and there's different advise for each individual. May we ask a few questions please just to be sure we're doing it right? - Cleansing is to be done before, during and after HF? Or just before and after? - How do we go about with the cleansing? Which cleansing methods would you recommend we get/do? Also, 1 of the nasty neighbor might be a church-goer on Sundays, will hotfooting not work on that particular unit then? Once again, thank you so very much.. I hate that this you guys are still going through this. I'm praying this situation turns around for you all. It is always a good idea to do a cleansing bath before performing any type of ritual spell work. Start off with a regular bath to remove your body of all natural impurities and afterwards do a spiritual bath. Both these are done prior to beginning the spell. After the spell has been completed take another pour over hyssopbath while reciting Psalms 51 to remove any sin that may have been committed. Regarding your last question I'm not sure I completely understand it. I believe you are asking simply if it will work simply because they are church-goers. If this is indeed your question them my answer is that most Rootworkersare church goers like myself. Hell, I even WORK in ministry at a Baptist church. I have been crossed before and just as successfully as it was placed it was removed. God set this system up and He is governed by His own word. They are not untouchable because they are church-goers. Everybody who goes to church isn't a believer or doer of God's command either. Thank you so very much for your well wishes, its a blessing to have nice folks like you around..
We have decided to purchase several items from LuckyMojo. However we are not entirely sure if they would pose a problem in our country, is there any way we could kindly private message you for a few questions? We don't have a private messaging system on the forum, unfortunately. If you have questions about products and ordering, you can contact the shop directly at order@luckymojo.com The people who work there are extremely nice and knowledgeable, and they can advise you on your product choices. Thank you so much Miss Athena! We appreciate your help Will definitely drop them an email now!